Ken Eyerman has more than 35 years experience teaching Yoga & Bodywork, is a trained practitioner of the Feldenkrais Method © and is author of 'Massage' published in 1987. An American based in London since 1980, Ken has developed his own style of teaching, bridging the space between flowing Hatha Yoga and the gentle understated, spiralling Feldenkrais movements. Ken teaches his unique 'Yoga with Awareness' holidays internationally. Ken has developed a fluid technique that taps into your individual needs, releases energy and works to heal injuries or chronic discomfort. 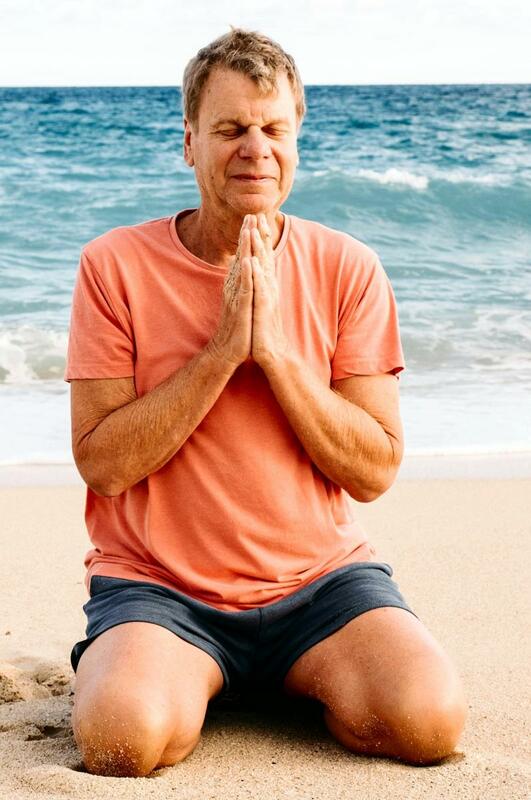 His retreat will introduce you to Ken's unique take on Yoga - utilising influences from Feldenkrais, dance and movement based bodywork - and promises to be a refreshing, inspiring start to the year and a lot of fun too! Ken's intuitive and spontaneous, hands-on approach places an emphasis on using the breath, an awareness of your inner process and how to use your body efficiently. This combination of approaches will ease you into the postures and classes are suitable for all levels of experience, including those who have injuries or are restricted in their movement. The developmental movement technique, The Feldenkrais Method, has been Ken's lifelong study, especially in how it relates and is complementary to yoga, through the awareness of movement and being attentive to detail. For Ken, The Feldenkrais Method forms the bridge between hands-on healing, touch and the spontaneity of life as a dance. The Feldenkrais Method named after its originator, Dr. Moshe Feldenkrais, is an educational system that uses gentle movement and directed attention to improve posture and human functioning. One can increase the ease and range of motion, improve flexibility and rediscover the natural capacity for efficient movement.